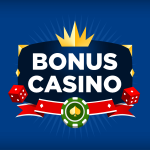 If you’re looking to get the most out of every casino game you play, we’re here to help! Our casino guides will give you the edge, whether you prefer Slots, Video Poker, Table Games or Instant Win entertainment. Our team of online casino experts has years of experience and they want to share it with you. From the top casino tips to strategies and betting methods, we explain it all so you can reap the rewards. Whether you are new to playing online or have been doing so for years, it’s never a bad idea to brush up on your skills and learn a bit more about how to maximise your winning potential. Our casino guides will walk you through the games, explain basic strategy, and fill you in on terminology and so much more. While games like slots don’t require much skill, Blackjack, Video Poker and many others do. If you want to improve your overall gaming experience then our casino guides should be your first port of call. You’ll be able to find out more about the intricacies of games, learn from experts who have been playing online for years, and benefit from the advice of those who may have a whole new outlook on gaming. The more you know about casino games, the more casino tips you can apply, and the better your skill and strategy, the bigger the payouts! Playing casino games should be fun, and when you are winning they are even more so. Our casino tips will give you the boost you need, and enhance your game play every step of the way. We regularly update our casino guides too, so there’s always additional information available at your fingertips, and you can keep up to date with new strategies and ways to win. There are some huge jackpots just waiting to be won online and if you are au fait with how best to play, they could easily be yours. 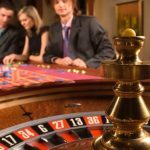 The more you know about casino games, the better- and it can be hugely enjoyable brushing up your knowledge and refining you skills. For the top casino tips and most comprehensive guides, look no further; everything you need is right here. 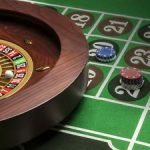 What is the etiquette for online casino tables?